80+/- Acres on Clay Rd., approximately 2 miles Southeast of Pangburn. This property is ideal for recreation or homesites, & has lots of deer & turkey. Auction will be held at our offices, 606 E. Booth Rd., in Searcy, AR. Who wouldn't want a new firearm for Chirstmas? We are selling dozens of fine rifles and other long guns just in time for the holidays! From collectors to shooters, new or old, we have it all! Check out this good group of firearms! Christmas is upon us and hunting season is in full swing! Any of these would make fantastic gifts or useful tools to bag the big one this season! 89.81+/- acres on County Line Rd. just outside of Rosebud. Approximately 68 acres of mineral rights convey to the buyer! This tract of land will be sold in it's entirity, with surface & minerals. This property consists of 40 acres with large metal building, complete with living quarters & overhead doors. Mostly wooded, secled, yet 5 minutes off the highway, with an income producing well on the property. 1/2 of the Mineral Rights will convey. We are selling tons of new sporting goods in part 2 of this TOTAL Liquidation! Hunting coats & clothing, hunting accessories, game calls, ammo, heaters, gloves & hats, slings, deer stands, attractants, fishing lures, & MORE! The Great Outdoors & MORE!! ATVs, Boats, Kubota Tractor, Go-Cart, Mini-bike, tools, fire pits, outdoor cedar furniture, & MORE in this Online Auction! Find some great deals here!!! Cargile Auctions will be selling this nice 3 bedroom 2 bath brick home from the Viola Rose Jukes Estate. This home is located in Colony West Add. Great backyard with a 15x30 in-ground pool! Call us today to schedule a tour. It's not too early to start thinking about Chirstmas presents in this BIG TIME firearms auction! We have an impressive collection of pistols, Glocks, Sig Sauer, Smith & Wesson, Ruger, Kimber, Taurus, Beretta, & MORE! This 2 bedroom, 2 bath home in Downtown Augusta has lots of charm! Whether you are an investor looking for rental opportunities, or an outdoorsman looking for a hunting camp in the Augusta area, this house is worth a look! We are selling tons of new sporting goods in this TOTAL Liquidation! 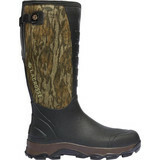 Hunting & fishing apparel, waders & boots, decoys, MOJOs, camo, hunting accessories, Echo duck calls, & MORE. If you're an outdoorsman, you'll wanto to have a look! This seller has lots of really great shooters! Hunting season is upon us, so be sure to browse this auction for the gun that's gonna make this season a success!